Bavarian camp offering 12 to 16 year olds German language, as well as sightseeing in Austria! 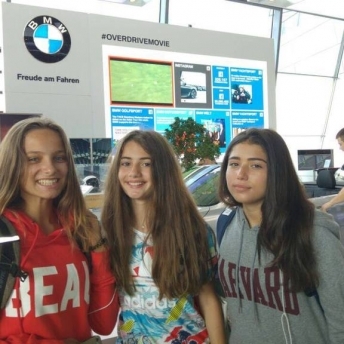 Located in the Bavarian Prealps between Munich and Salzburg, our German summer camp is organized in cooperation with the BLSV, the Bavarian State Sports Association. Camp Inzell is a safe location for children and teenagers aged between 12 and 16 and is the perfect camp for great activities. The official language on campus is English, but there will be plenty of opportunity to improve German language skills with our engaging language course and with fellow campers from Germany as well as with native German speaking staff. 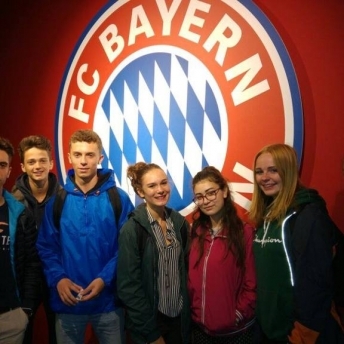 Visiting teenagers can also enjoy cultured excursions in the Bavarian metropolis of Munich or the historic, beautiful city of Salzburg in Austria. It was a big experience with so many nice people and I improved my language skills but I didn’t even realise it because I was having so much fun. Camp Inzell is a large campus with a wide range of facilities. The activities available are endless and we are able to offer a varied and extensive multi-activity program. The entire activity and sports program is carried out and supervised by experienced instructors and staff of the BLSV. Day time activities include outdoor challenges such as archery, crate climbing, climbing and slackline. A selection of sporting sessions will also be available including basketball, football, swimming, tennis, ultimate frisbee and volleyball. In the evenings, the whole camp comes together for barbecues, campfires, night walks and even an outdoor cinema​. During a 2-week course, we explore the beautiful Bavarian city of Munich once a week where you will have the chance to sightsee in the city, but also visit 2 famous attractions – FC Bayern Munich and BMW World. 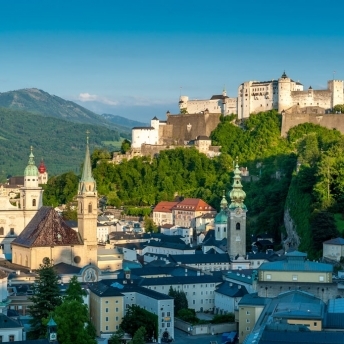 There are also 3 half day excursions over the 2-weeks, we visit the local town of Inzell as well as cross the border into Austria to enjoy sightseeing and shopping in Salzburg. For those students who wish to learn German during their time at camp, we offer a wide range of German classes suitable for all levels from complete beginners to advanced students. Our classes are aimed at being a modern activity based learning experience whilst combining fundamentals such as spelling, grammar and vocabulary studies with fun exercises. With a lot of German students coming to camp, there will be plenty of opportunities to practice your German outside the classroom. Students learning German will receive an Xplore certificate for their completion of their language course. Transfers – We will provide transfers from and to Salzburg Airport (SZG) on both arrival and departure dates. Please ensure your arrival flight lands between 9:00 and 12:00 noon and departure flight leaves after 12:00. Unfortunately, flights outside of these times or to/from a different airport will incur an additional cost – please check with our bookings team first. Accommodation – Campers stay in rustic block houses which have 8 to 10 young people per house. Each block house has a small social area and bathroom facilities with shower and toilet. We always have separate quarters for boys and girls and where possible place campers of a similar age in a room together. We will mix the nationalities that you are sharing with to help improve your language skills in your free time as well as in lessons. If you have any special requirements or would like to request to share with a friend, we will try to accommodate you, just let us know in advance. Food – Three meals a day are included at breakfast, lunch and dinner. There will be a selection of freshly prepared, nutritious food with both hot and cold options. Dietary requirements can be met when we are aware in advance. Care and Supervision – Camp staff are responsible for the pastoral care of all those in our care and ensure that everyone is sleeping well, eating well, joining in, making friends and having a great time. During free time, our teenagers are able to explore the campus with friends, whilst being supervised by their house parents. International Camp – Our camps are available to children from all over the world. Integration and immersion is central to how we operate as an organization, and by encouraging lots of social interaction between different cultures and creating a diverse international community at camp, it can really develop every child’s self-confidence in communicating with others. Transfers and Entrance Fees are included in the price.